The all-Ferrari GTO race group was one of the biggest highlights of this years's Rolex Historics, but I found another Ferrari GT car that I fell in love with and thought you guys might enjoy a few extra photos of it. The street going version of the '69 365 GTB/4 Daytona is a thing of beauty, but the Competizione model is something else all together. 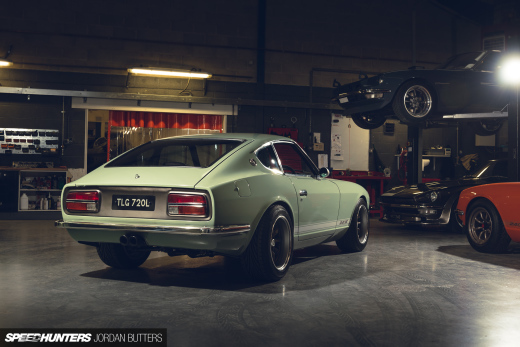 …to the twelve cylinder work of art sitting under the hood. 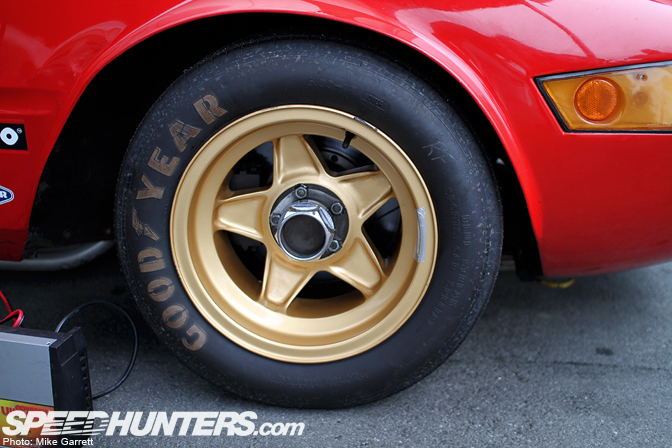 And then there's the wheels – gold five spokes with meaty Goodyear rubber that sit perfectly against the red body. The rear fenders have been extensivley modified from the street model to fit the giant rubber. There are side pipes too, to expel the sounds from that wonderful engine. 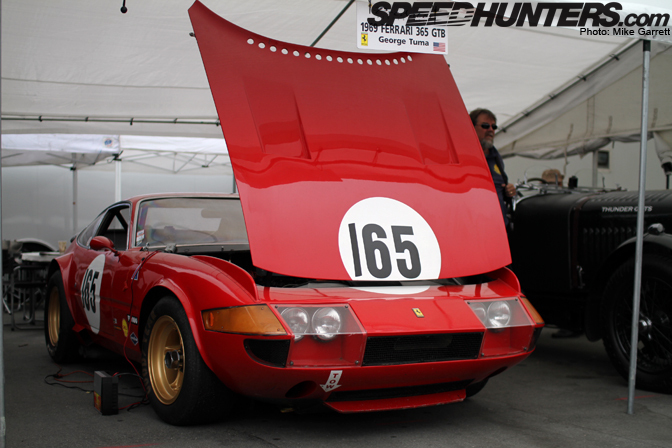 Dare I say this might be my favorite Ferrari race car of all time? Looking at the photo above, I think I'm going to say yes. Damnit! I NEED to HEAR that thing!!!!! Great pictures, thanks for bringing us the coverage. Anyone else notice the Fram filter? Joe, I noticed it too. Great looking car, but that filter is going to fail spectacularly under heavy racing conditions. This is a beautiful ferrari, thanks for the spotlight! But like the others i was also a little surprised to see a fram filter. 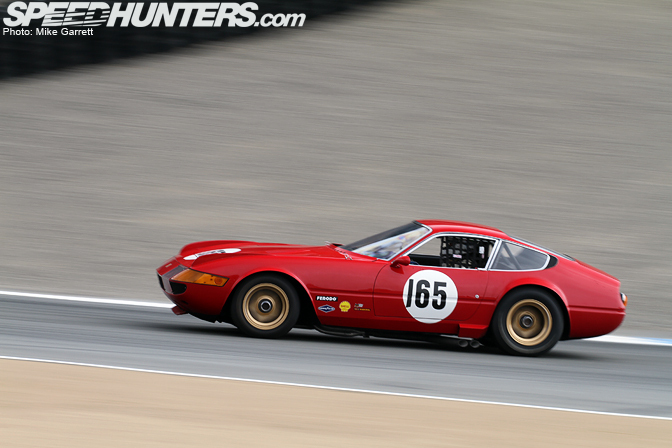 Surprising choice for a historic ferrari racer, maybe there's something we don't know? 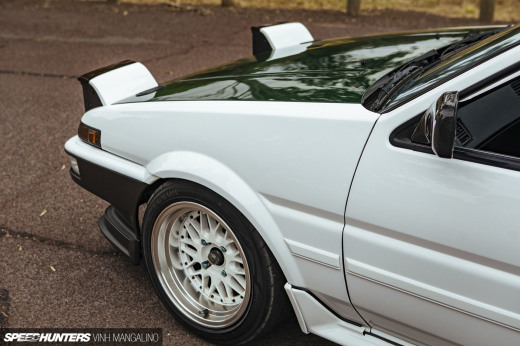 I'm also interested in those ridges along the front wings/fenders. Anybody have info on these? Now I know where the 599 got it's proportions from! That side view is a spitting image of it. cool car - but why 'has' this guy got a Fram filter in that car?? come on now! - great pic by the way! always loved these, its in fine condition too not like the few i've seen in the past.. well i'm not going to mention filters of any kind.. Fram or otherwise - Thanks for the post! I also noticed the ridges along the front fenders. They are definitely there for stability or something. 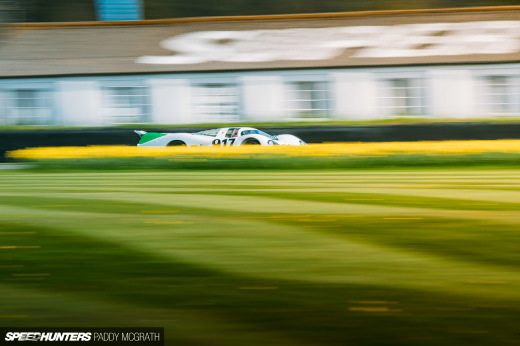 Just like the old school BMW E9 CSL's. Wouldnt be too worried about the oil filter, FRAM make OEM filters for alot of car companys. BMW being one of them. By the way two are used for obvious reasons, looks pleasing to the eye... the other one is a dummy ofcourse. 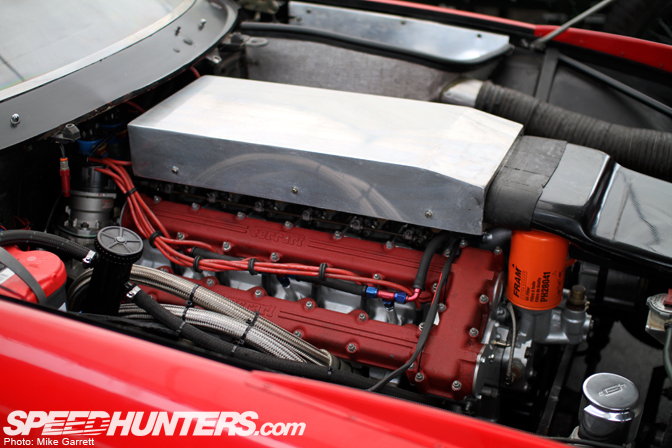 Go google for a 365 GTB 4 engine for a pic. 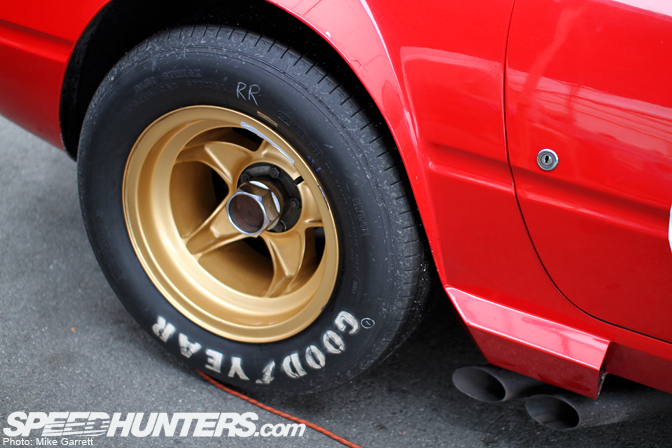 The sounds is glorious especially through those side pipes instead of rear exiting with Ansa snaps. What kind of oil filter should they have used? Callahan Auto? wallpaper of last pic please!!! one of the greatest Ferraris ever.